I hope you don’t mind that I will be skipping a recipe challenge for this week in favor of a Friday Favorites chat! One of the things I am loving though right now is in fact the Recipe Challenge. The Vegan Sloppy Joe’s recipe in particular, which I first made a few weeks ago, is a regular in my weekly dinner rotation. I have made sure to have red peppers in the house every week since sharing that recipe so that I can quickly whip up those vegan sloppy joe’s for dinner. This week I subbed the chick peas with quinoa and lentils and it was delicious! I am so grateful for the Recipe Challenge that Laura and I have committed ourselves to because without it, I wouldn’t be experimenting on a routine basis with new-to-me recipes (and wouldn’t have homemade veggie burgers frozen in my freezer ready to eat. That’s another huge benefit). This Lip Glow Pomade is similar to my previous Friday Favorite Dior Addict Lip Glow but different because it’s in a squeeze tube. This version of the Dior Addict Lip Glow is a pomade in a squeeze tube and is extremely smooth and hydrating without being sticky at all! 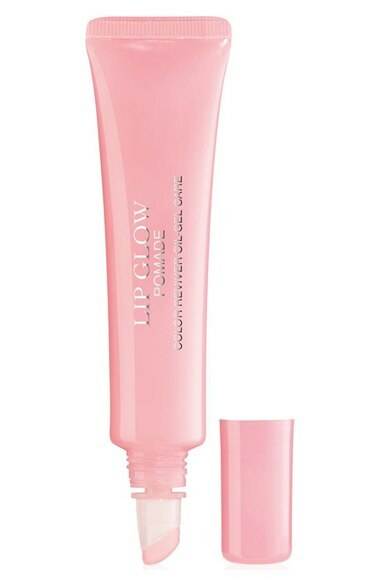 I can’t get over the moisture that it adds to the lips and how I expect it to always be sticky like other squeeze-tube types of lip glosses but it’s not at all! It adds a pop of color too just like the other Dior Lip Glow. The first Dior lip pomade, SOS intensive care, with a custom natural rosy tint. Shiny, plump and delicately rosy lips (as if they were revitalized) Perfectly matches Dior Addict Lip Glow Liner and Dior Addict Lip Glow for perfectly defined lips and a natural makeup result. I adore my Erin Condren LifePlanner and I am currently trying to figure out which one from the new collection I will order for 2017 BUT then I came across this new Kate Spade Cameron Street Agenda and got all excited. 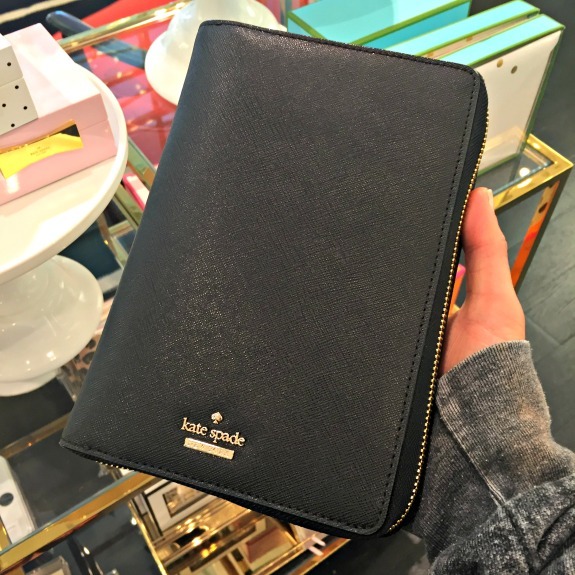 I love Kate Spade products and love that this agenda is a zip around! If only it had more blank note pages. I need a lot of lined pages for taking notes as I work. Even my Erin Condren LifePlanner doesn’t have enough lined pages. I may end up ordering the Erin Condren notebook instead of the LifePlanner this year. I have used both products in the past and may prefer the notebook even though I love the Lifeplanner. Big decisions to make, I know. I finally found a shower curtain that I actually like! I am the worst at selecting a shower curtain that will make me happy, in case you didn’t know. 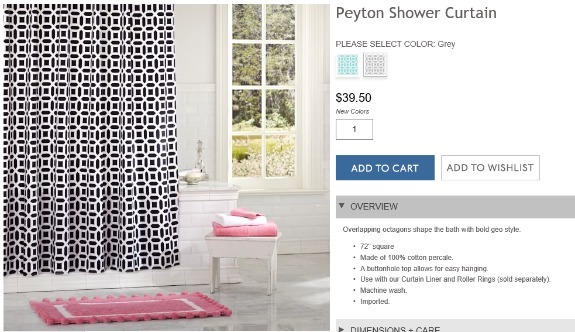 I went with this Peyton shower curtain from Pottery Barn Teen in grey plus the deep pink towels with matching bath mat shown in the picture. There’s a major quality difference between the regular Pottery Barn bath towels and Pottery Barn Kids/PB Teen bath towels. The kids towels are so much better! My son’s bath towels from Pottery Barn Kids and Pottery Barn Teen over the years have always been so much nicer and much more durable than the regular Pottery Barn store towels. I have had a few sets of Pottery Barn bath towels and they got icky and faded almost immediately. I would blame my washing skills but I wash my son’s towels and they are always fine! I think I enjoy the little frozen wild blueberries just like I love mini chocolate chips. 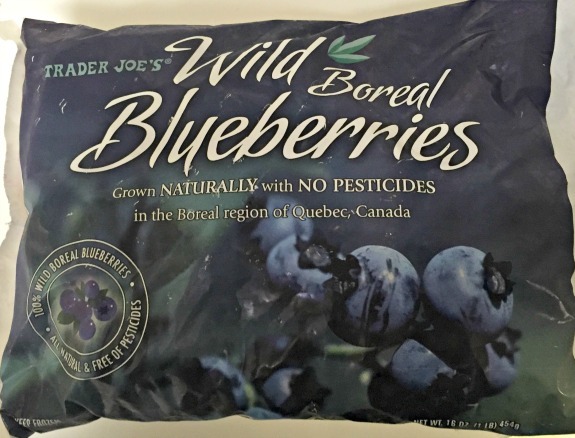 I usually purchase the regular sized frozen blueberries but a few weeks ago, Trader Joe’s only had the frozen wild blueberries in stock. I am so glad this happened because these little baby blueberries are now my favorite. These little frozen blueberries when added to oatmeal (especially this recipe) give me a bite of blueberry with every spoonful which reminds me of baking with mini chocolate chips. Cookies made with mini chocolate chips are the best since the chocolate gets evenly distributed throughout the cookie giving you chocolate in each bite. Friday Favorites August 2015 – I love seeing what I was doing a year ago! Which planner do you use? Are you nutty about having enough blank, lined pages like I am? Any new makeup products you are loving lately? I love kate spade products too so that might have to be on my list. Now that I write so much in my phone I don’t need a ton of blank pages, and also handwriting just gets harder for me anyway the more I don’t do it. I am getting better at using the notepad in my phone but I still love writing with pen and paper to organize myself, especially when I take notes while on a conference call. I just can’t switch totally to the phone. I am way too old school. I have actually transitioned to an electronic calendar which I really can’t believe. A year ago I was still devoted to my handwritten planner! But we use outlook shared calendars for work and it links with my phone, so its easier to just keep track of everything in one place. I do wish I had a consistent place to write notes though! I’ve been using a Lilly planner the past two years and have been pleased with it. I have been looking into the LifePlanner and I may try that one for the next year. I have it all picked out and it is sitting in my cart, so I really just need to pull the trigger on it ha! I need lined blank pages in a planner also. I use a Moleskine planner and I love it! I like how it’s a softcover and can easily fold into a bag if needed. I don’t know why planners don’t come with more lined pages. I can’t for the life of me convert to putting all my stuff onto my phone; I have to have a physical planner. I’m not sure the name or brand of it but the most important details for me is that I get a full page per day, that the cover is really really funky/hippie looking and that the spine is really good quality! I don’t even use the notes pages of my planner. Maybe I should send you mine. I love pbteen- they have the best stuff! I use a Lilly Pulitzer planner, but I honestly write notes and to-do list everywhere, haha. It’s such a gorgeous planner and there’s plenty of note space. Plus, you get cute sticker, and who doesn’t love stickers 😉 ? Meah recently posted…Back To School Fashion: Get Some Prep In Your Step! ive seen the lily planners- they are so cute! and i love stickers!